Happy Monday Everyone! I’d like to start the new week with a super cute image from The Paper Nest Dolls. Sunflower Ellie. She is colored with Promarkers. The papers are by Memory Box – Valise 6×6 paper in Kraft. The flowers and leaves are from I Am Roses. 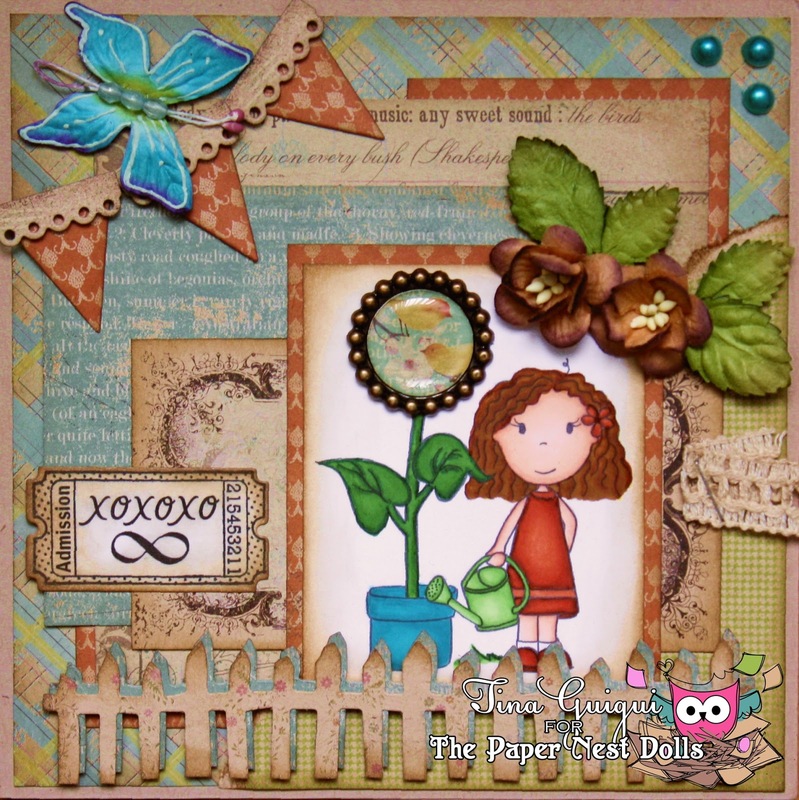 The fence die cut is from Tim Holtz. The butterfly is from the Dollar Store? I made the brad from the paper collection and thought it was a nice way of creating the flower. TFL and have a wonderful week. Be sure to check out The Paper Nest Dolls facebook page daily as there are contests going on.